Only they didn’t answer their door. So I ate that “extra” tart as soon as I walked back in my house. I wasn’t even hungry. I reasoned that I was saving it from an ant attack if I left it on their porch. I could have put it in the fridge and tried again later, but I just couldn’t take it staring at me any longer. This tart has the sweetest puppy dog eyes you just can’t turn down. Only it’s not. It’s sugar! Fooled ya! To taste test hibiscus’s impact on this filling, I made the strawberry curd two ways – one with hibiscus and one without. The results were fascinating – hibiscus has flower power. Not only does it give the curd multiple flavor notes – sweet strawberry with a tart citrus hint on top – but it imparts a Barbie pink hue. Without hibiscus, the strawberry curd tasted like, well, strawberries, but the egg yolks made it look like muted hummus. And nobody wants to eat a sweet hummus tart. This way I wouldn’t be the one to accidentally eat it if they didn’t answer their door. Again. These dainty pink treats taste like a toasted lemon meringue tart with sweet strawberry notes. 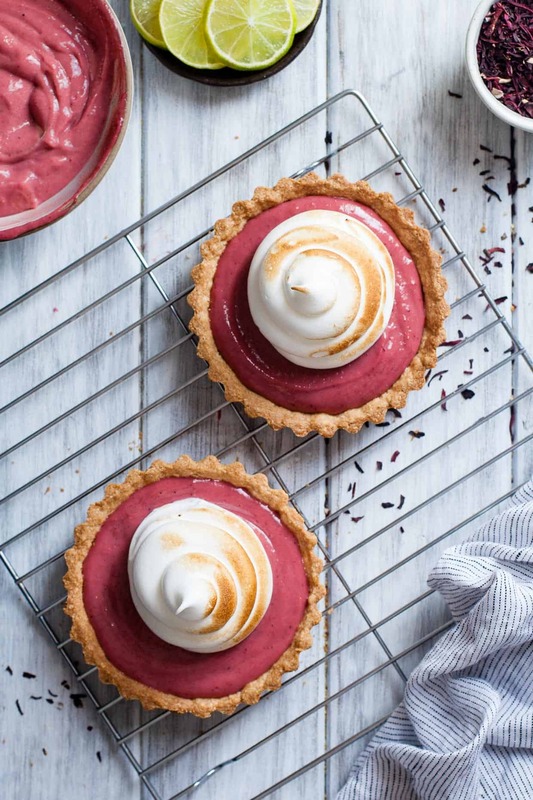 Swirled inside a crumbly gluten-free almond crust with a heavy dose of glossy meringue plopped on top and toasted, this hibiscus strawberry curd tart will steal your heart. And your willpower. Place all flours, sugar, and salt in a food processor and pulse to combine. Add butter cubes and pulse until dough begins to clump together. (This might take a few minutes - it will appear dry at first, but it will eventually clump into a coarse meal). 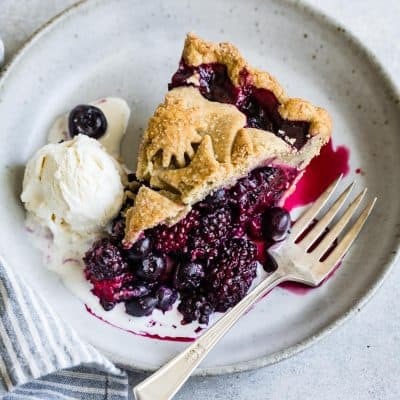 Divide dough between four tartlet pans with removable bottoms (or one large tart pan) and use your fingers to press dough evenly in bottom of pan and up sides. Freeze crust for 15 minutes while you prepare the hibiscus strawberry curd. Bake 350°F for 15-17 minutes, until it begins to turn golden brown. Use the back of a spoon to gently press crust down to make it flat it. Transfer to a wire rack to cool completely before removing them from the pans. 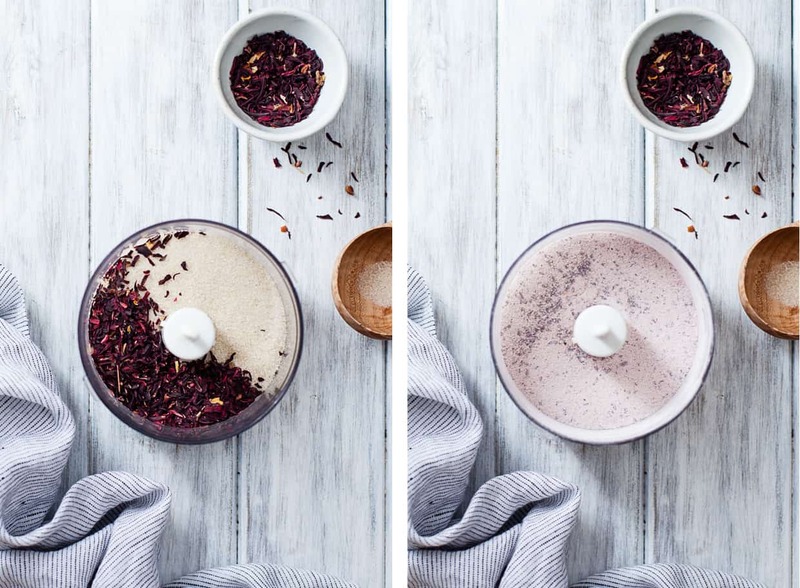 Pulse sugar and dried hibiscus in a food processor until hibiscus is finely ground. In the heat proof bowl, combine hibiscus sugar, strawberry purée, eggs, egg yolks, lime juice, lime zest, and corn starch. Whisk to combine. With stove on medium-high heat, cook, whisking continuously, until mixture thickens and reaches 170°F on thermometer, about 4-5 minutes. Remove bowl from heat and strain curd through a fine metal strainer to remove any pieces of cooked egg or hibiscus. Add butter and whisk to melt and combine. Cover in plastic wrap and refrigerate while you bake the crusts. When the crusts have cooled, divide the curd among the four prepared crusts, using a rubber spatula to spread it evenly. 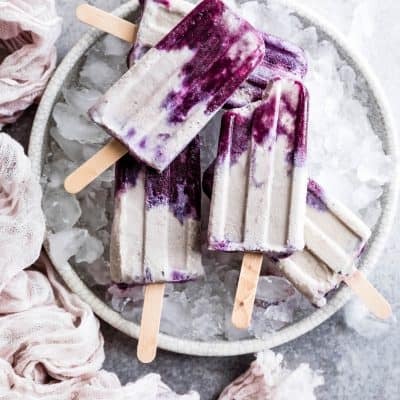 Refrigerate for at least 2 hours (or up to 1 day) before serving. 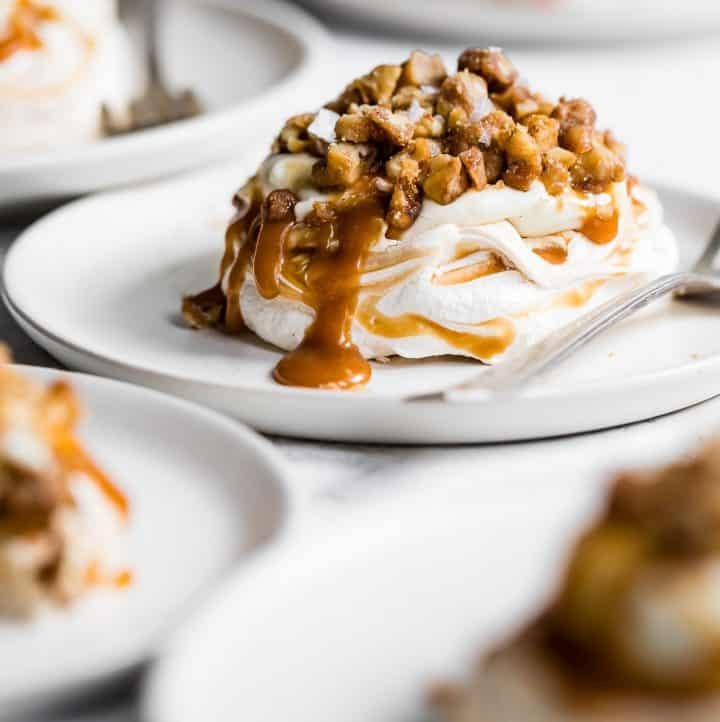 Just before serving, prepare meringue (recipe below). 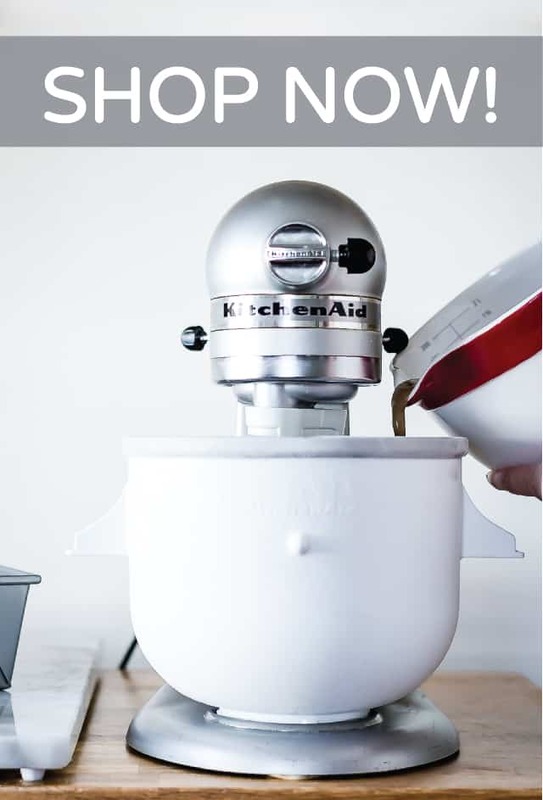 Wipe the bowl of your stand mixer to make sure it is super clean. Add egg whites and cream of tartar and whisk on medium speed until it begins to foam and holds soft peaks. Add sugar, one spoonful at a time, and whisk on high speed until stiff glossy peaks form. Check to make sure the sugar has dissolved by rubbing a bit of meringue between your finger tips to make sure it's not gritty. If it is, keep whisking until sugar dissolves. 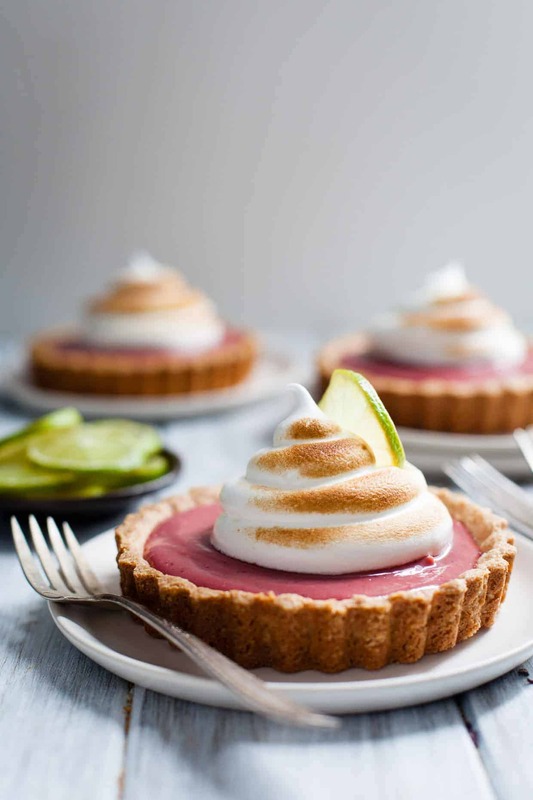 The meringue is done when you hold a spoonful upside down and nothing drips. 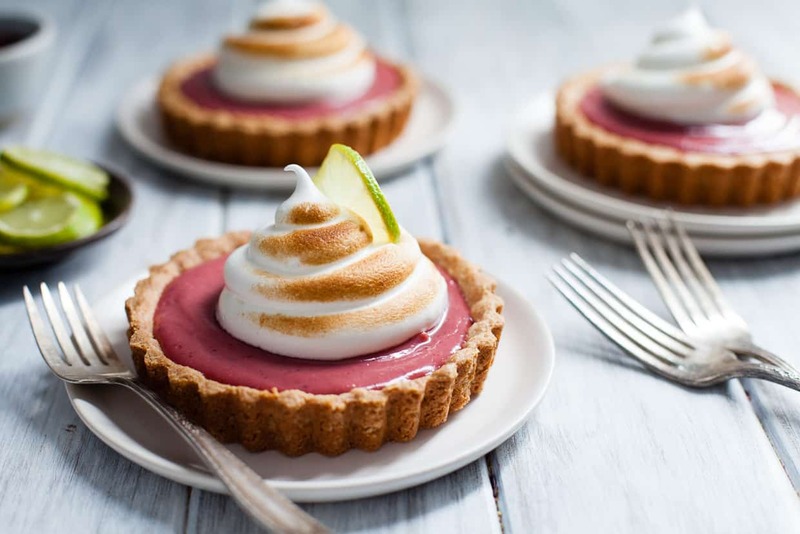 Transfer meringue to a piping bag with a wide round tip and pipe meringue on top of each curd-filled tartlet, or if you don't have a piping bag, spoon the meringue directly onto the tarts. 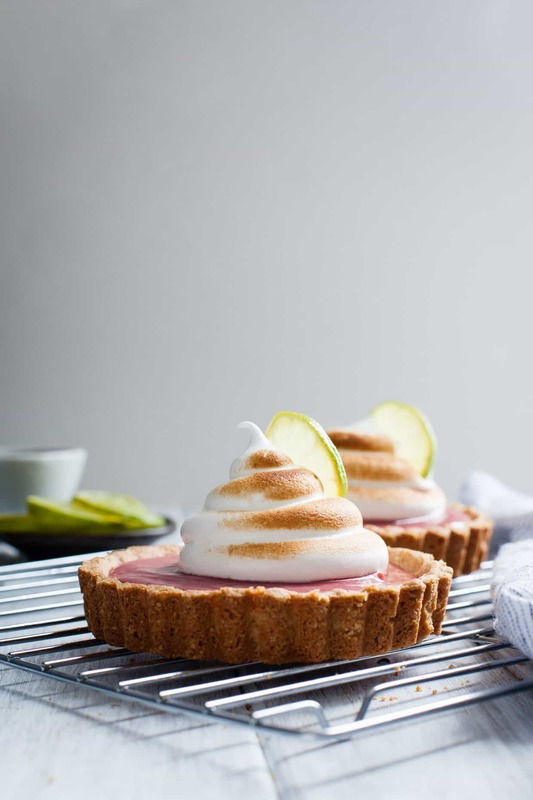 Use a kitchen torch to lightly toast the meringue. (If you don't have a kitchen torch, you can place the tarts under the broiler for 2- 4 minutes, watching carefully until just toasted). So, so gorgeous!!! I wish I could taste one of these. I love hibiscus, but have never used it in baking yet (but I love hibiscus cocktails, ha!). And the smoke effect is so real! Same thing happens when you process dehydrated berries in there ;) Pink smoke! Aw – thank you so so much Laura! 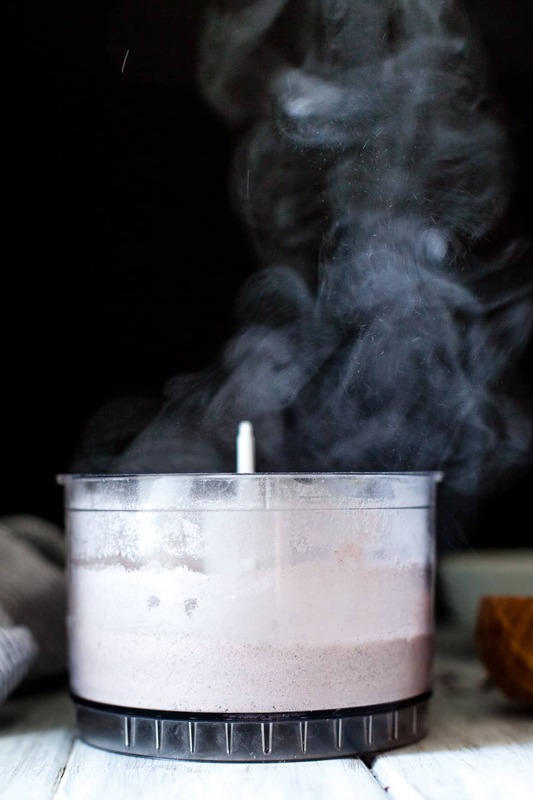 Pink smoke is the best – You should totally capture that on film next time! Just STUNNING, Sarah! 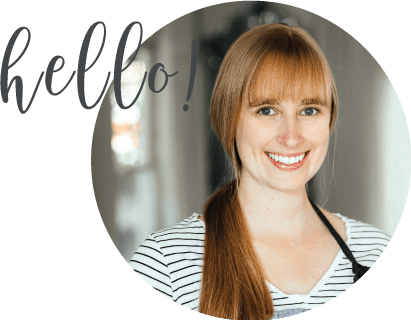 Hibiscus is one of my favorite flavors and I love that you put it in a curd! Ugh, I just can’t get over how beautiful these are. They could be served at a wedding! Wow – that’s such a big compliment! 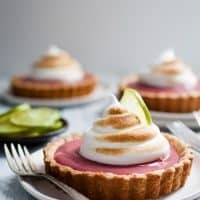 My friend DID just ask me to make a dessert for her wedding table so maybe I should make bite-sized versions of these! I would like to be your neighbor, please and thank you! These photos are just gorgeous, I can’t get over that gif you have up there. 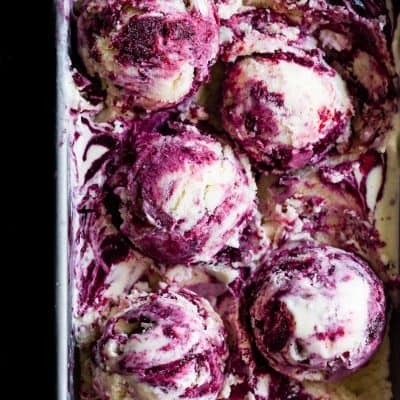 Also, that pink color is calling to me, so I need to get some hibiscus into my desserts, ASAP. Dear Sarah, I don’t blame you for keeping the other tart! …I would love to be your neighbor!! Thank you so much Catherine! That smokey sugar sure is a pretty subject to play with! Hehe… sweet hummus tart! No doubt! So the hibiscus… what a genius way to incorporate a lovely dried flowers to your tart! I can see doing this with chamomile and other dried flowers. Love this, Sarah; so smart! Beautiful post, from start to finish. That pink smoke is quite a capture and that GIF! I’m just drooling…. drooling. You’re always an inspiration to me! I think I need to be your neighbor. Then again, I’m thinking I probably wouldn’t make the best neighbor because I always eat everything I make. O.O I need to learn to share. Gorgeous photos, as always. That sugar smoke picture is all kinds of awesome. I got stuck on it for a bit, just mesmerized. I think I’ve only had hibiscus and strawberry together in drinks before, but I imagine it makes an awesome tart filling! I think you need to be my neighbor too! Then we can make fancy lunches all day every day. Thank you so much Joy! I’d also only ever had hibiscus in drinks before, but it’s such an amazing flavor that I’ve been infusing it into everything these days. Gorgeous gorgeous gorgeous – just LOOK at that adorable, perfectly toasted swirl of meringue. I’ll take like 50 of these as a belated bday present OK? 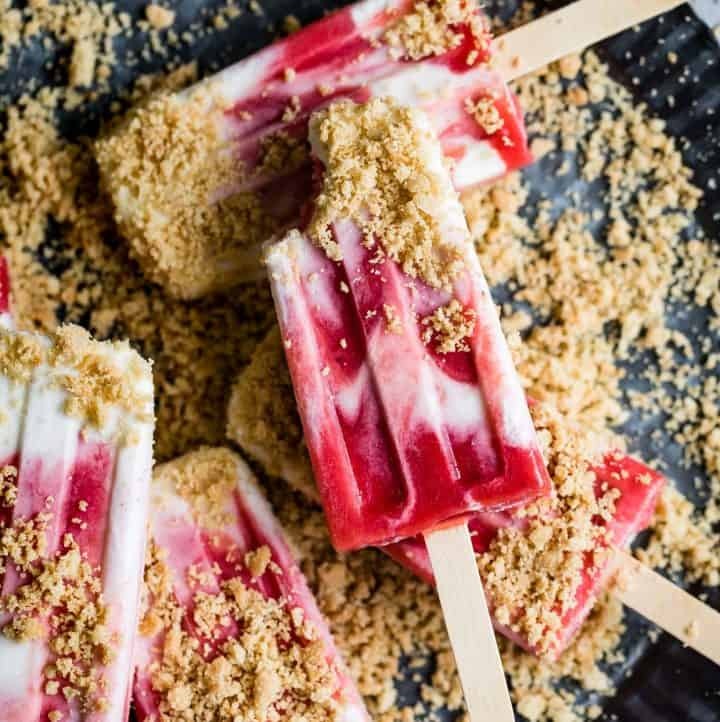 I know you already sent me ice cube trays and paper straws, but THIS is what i really want…. I think they’d survive the mail just about the same way as that puppy I sent…. I still can’t get over that sugar smoke!! It kind of makes me want to lick the air. Hahahahahahaha This is the best comment ever. Also now I can’t get the image of you licking the air out of my head. Yes! 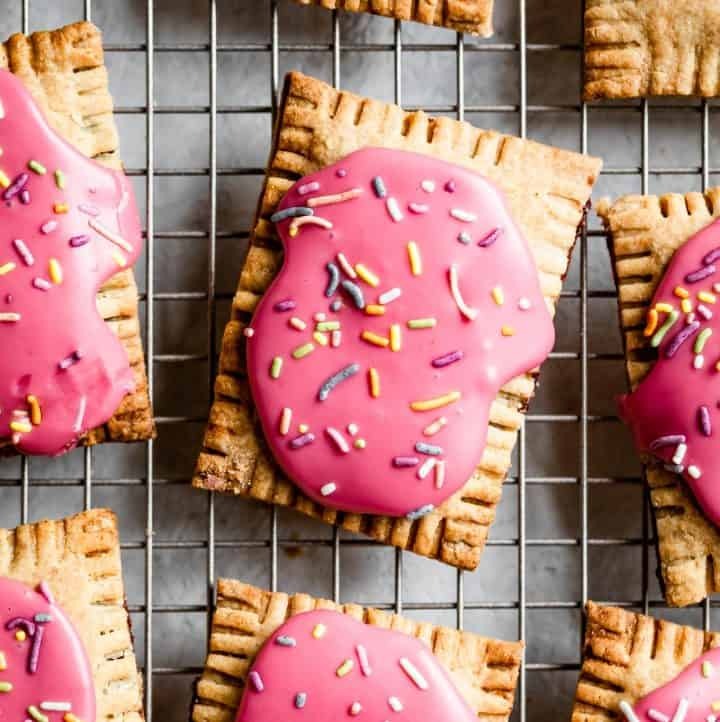 Oh my gosh – please let me know if you do make these!! I was surprised when a few weeks ago I ran out of confectioner sugar and ground white sugar instead (didn’t produce same results), I was coughing from all the “smoke” it produced. Crazy stuff! It’s fun though, and it makes you feel like a cartoon witch stirring a cauldron, hah! Hibiscus cookies?! Do you have my address? Because I’d eat so many of those. I also JUST found hibiscus POWDER a couple of days ago at a natural foods store down the street (THAT I DIDN’T KNOW EXISTED!). Can we make hibiscus shortbread from the hibiscus powder?!?! 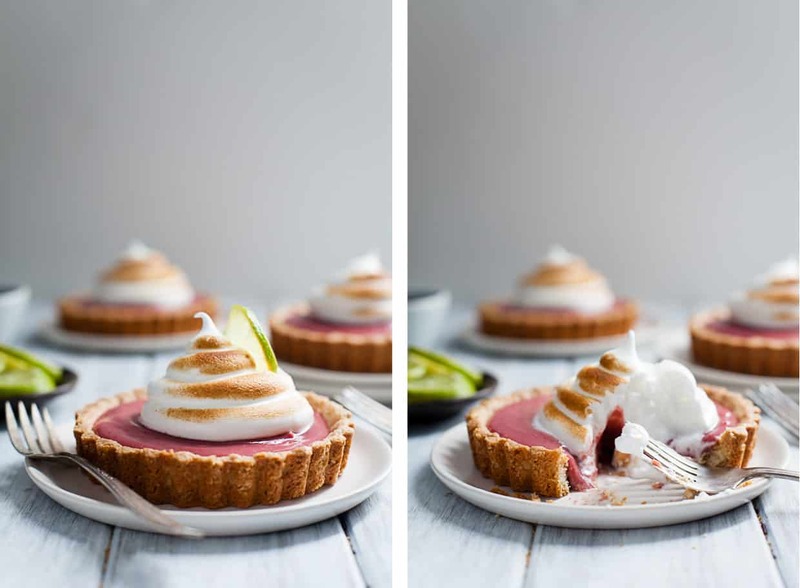 Your hibiscus strawberry curd tarts with toasted meringue are so beautiful and delicious looking! Plus they are the perfection distraction to my time-consuming paper haha. 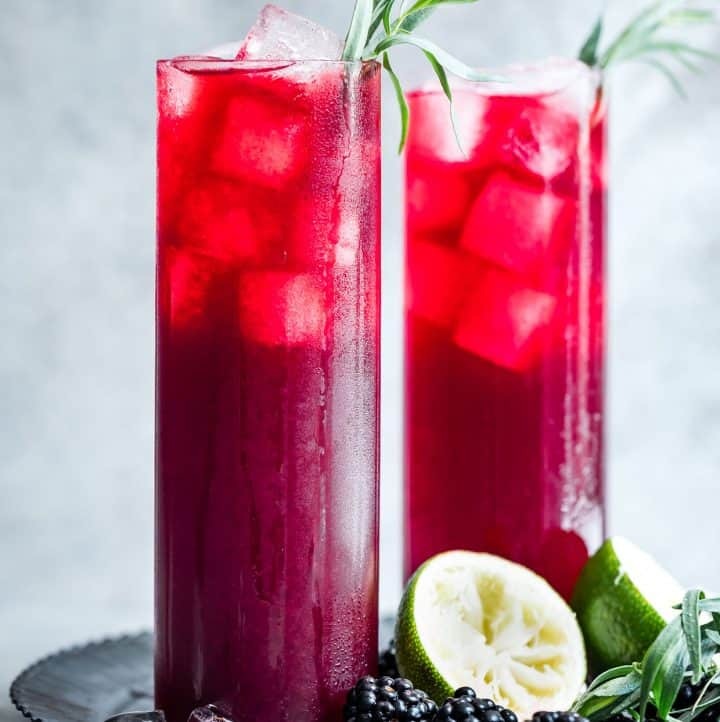 Really interesting that you used hibiscus; I am a big fan of hibiscus tea (in Thailand we have a great variation of hibiscus tea called Roselle) but never thought to use it in cooking before. Very creative! This looks so yummy! love the combination of hibiscus with the strawberries, bet it tastes as good as it looks. Pinned! So gorgeous! I have made strawberry curd and it was so good–I’m trying to imagine it with hibiscus. I have a hibiscus plant so maybe I could dry some flowers from that! I’m also adding this to my list of reasons someone should buy me a kitchen torch for my birthday. Woah! I’m jealous that you have a hibiscus plant – I called all the local flower shops to try to find fresh hibiscus and they all laughed at me for thinking I’d find it in bloom right now. YES, I love it when the sugar creates clouds of smoke when I open the lid! Oh my gosh, if I were your neighbor, I would make sure that I’m at the house ALL the time. In case you stop by to unload your goodies, of course. 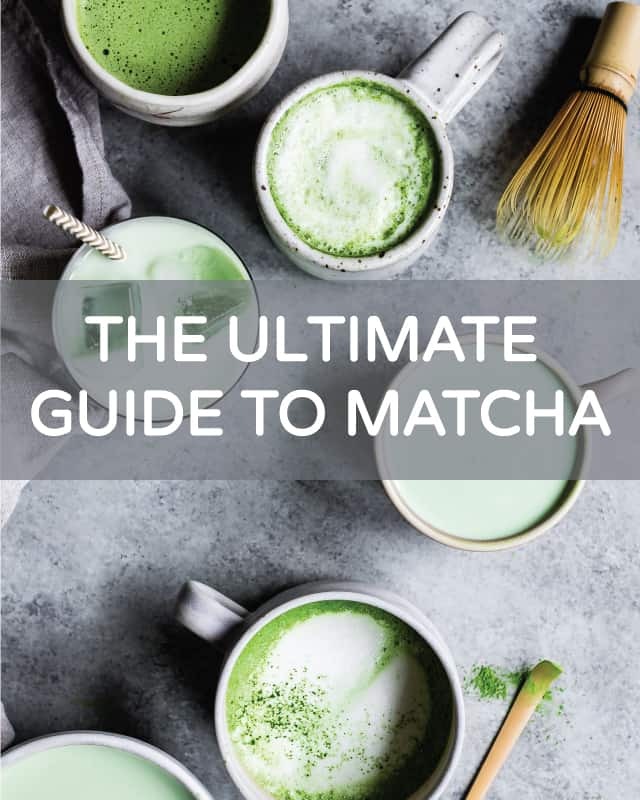 I love the addition of hibiscus flavors in this! I LOVE love love love love this post. And LOL to so much of it. I’ve definitely done the, ‘I will take this to the neighbors but since they’re not home, I guess I should eat it’ thing a few too many times. But if my tarts looked like this, I’m pretty sure I wouldn’t have even thought of the neighbors. Barbie pink for the win!! Haha amen sista’! Recipe testing is a a-hole to my hips, but it tastes soooo good. Love the color of this tart. 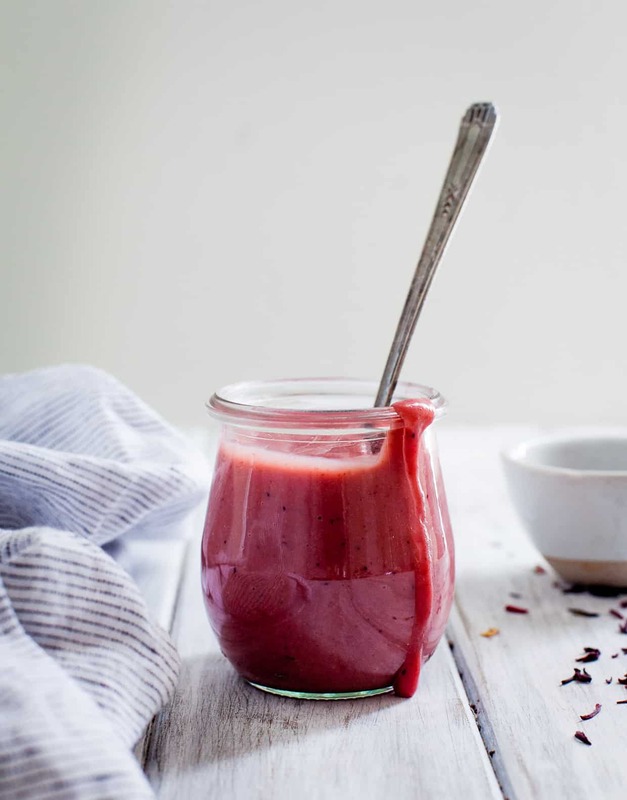 I’ve never made strawberry curd, the addition of hibiscus seems so perfect. Have to try them! Thanks so much Azu – the hibiscus definitely adds the most vibrant colors to anything and everything! OMG yum!!!! This looks stunning. Your photography is beautiful! These tarts look gorgeous Sarah! Love the use of hibiscus! Pinning! 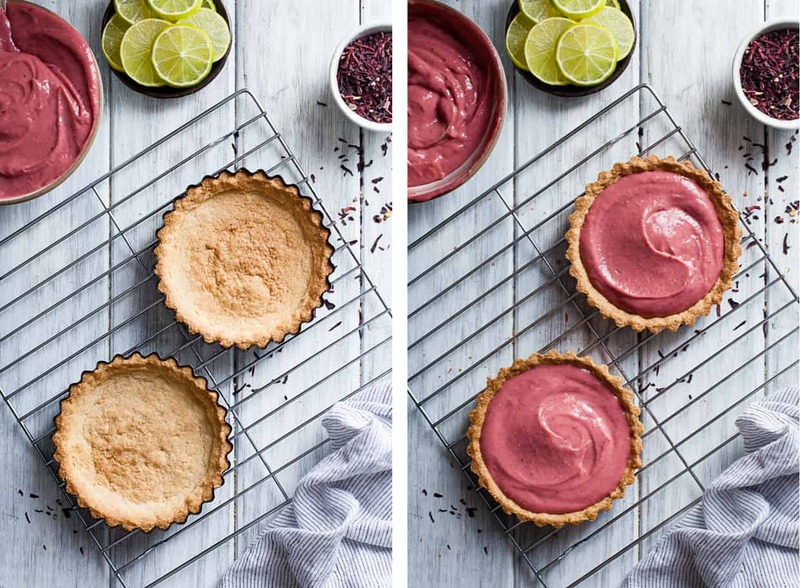 Strawberry and hibiscus are a great flavor combination, especially in tarts. 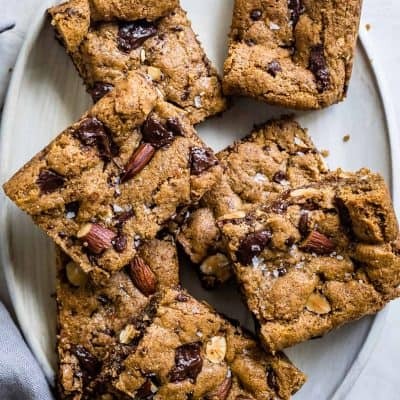 The almonds make the crust light and healthy, too. I like to top my tarts with whipped cream. Mmmm – we ate some of these topped with whipped cream too! Yum! OMG these are stunningly beautiful and I love the addition of hibiscus! So creative :) I’m so glad I got the chance to meet you at indulge, however brief! Hope to see you again soon! magnificent looking tarts, I can nearly taste them. I will try strawberry curd, never made this one, but like blackcurrant for punchy flavour. 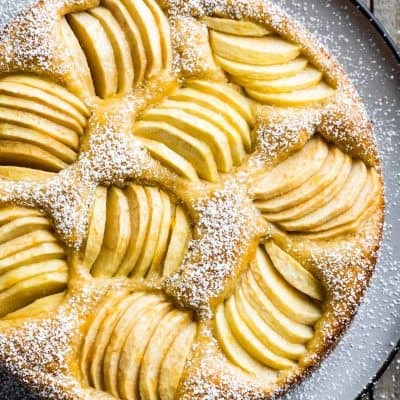 I have recentry converted to use buckwheat crust, it is amazing in frangipane and lemon tarts.. Thanks for the recipe. Fabulous photos!!! I’ve always seen lemon tarts, never strawberry! This one looks amazing though, I’ll have to try the strawberry kind! 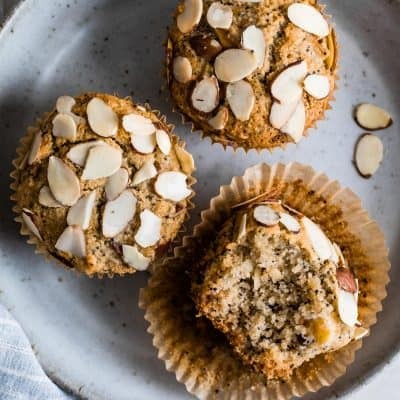 I was just wondering if I could make these tarts using normal short crust pastry as I am allergic to almonds? Absolutely! These will work great with any short crust pastry recipe that you love!